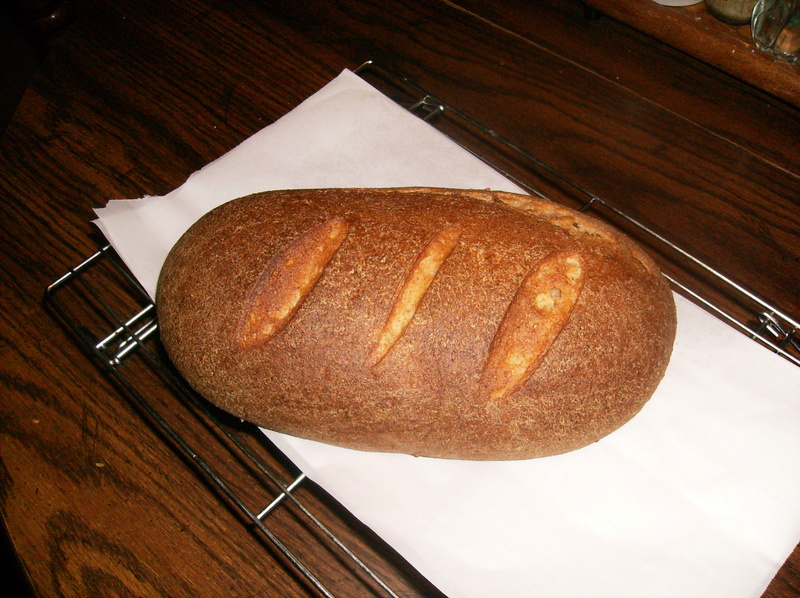 My first attempt at sprouting wheat and grinding my own sprouted grain flour went very well!! Put the rinsed grains into a soaking vessel and cover with water to two inches above the grains. Add the acidic vinegar or lemon juice to help keep bacteria from forming. Stir and cover with a kitchen towel, cheese cloth or other loose fitting lid. Let soak for 12 – 16 hours. Drain thru a mesh sieve and rinse with cool non-chlorinated water. Return to vessel. 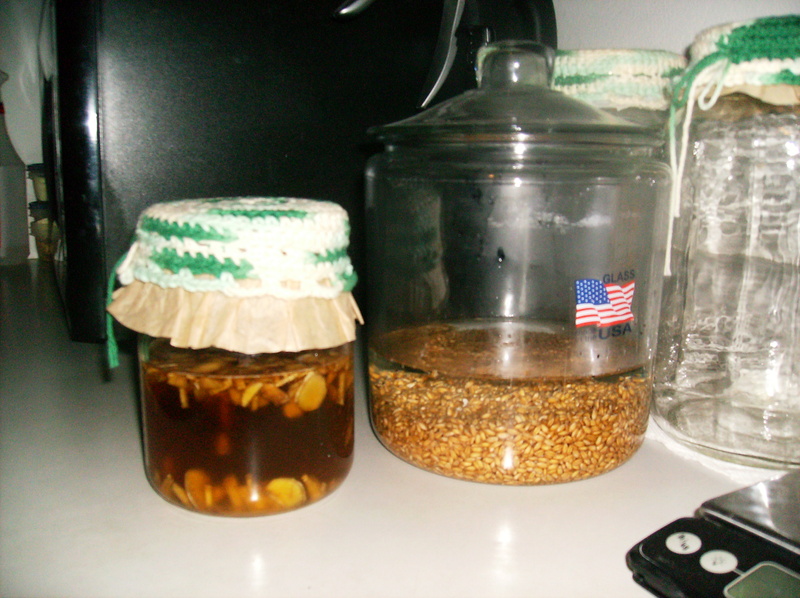 Rinse 2 – 3 times a day until you see little sprouts start to form. 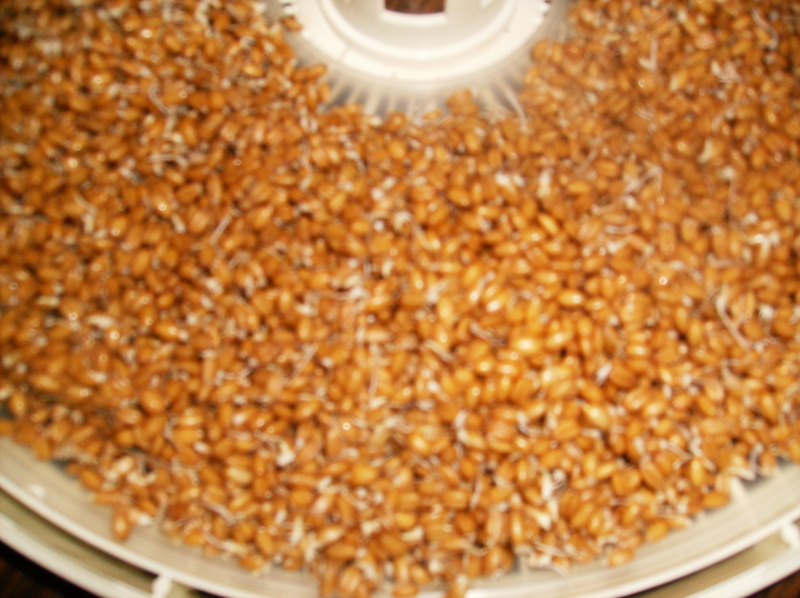 Once you see sprouts put the grains in a dehydrator at 105 degrees for about 18 hours. 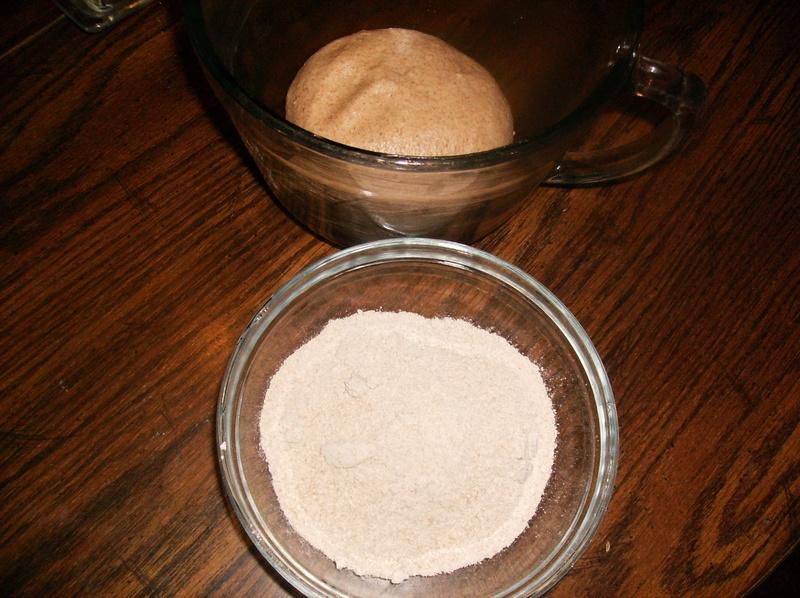 Remove from dehydrator and grind into flour. The finer the grind the lighter the bread.